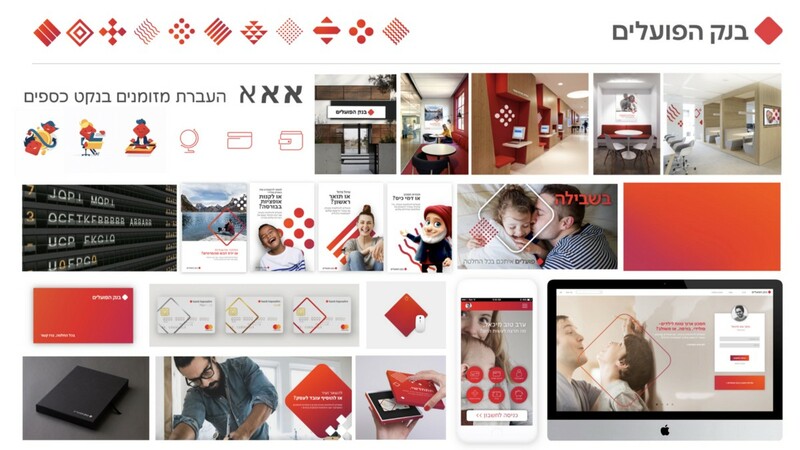 Bank Hapaolim, established in 1921, and Israel’s leading financial institution decided to embark on a rebrand after not doing so for 18 years. The competitive landscape has changed quite drastically from 2001; the customers have changed and the way the world conducts business has changed. More than anything, the bank needed to re-define their brand role within their customer’s lives, and ask themselves what added value they provide for their clientele. We gladly accepted the challenge to steer the bank’s re-brand project through unchartered waters. 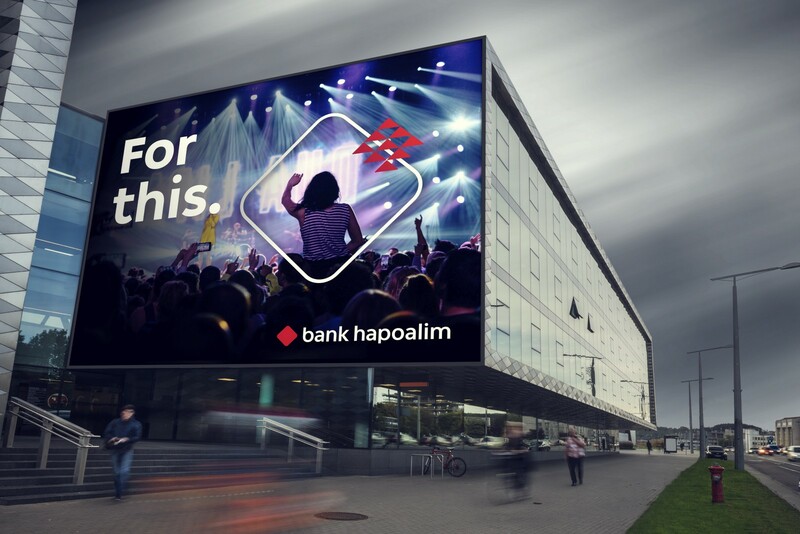 The main objective: to define Bank Hapaolim’s clear and distinct brand role in today’s ever- changing financial environment. After extensive qualitative and quantitative research, we positioned the bank as a trusted financial advisor and institution of its customers, that helps them navigate through the financial world on their way to making decisions that best suit their lives. This positioning supports and portrays the bank’s vision to enable financial freedom, and to become more relatable to both employees and end-customers. 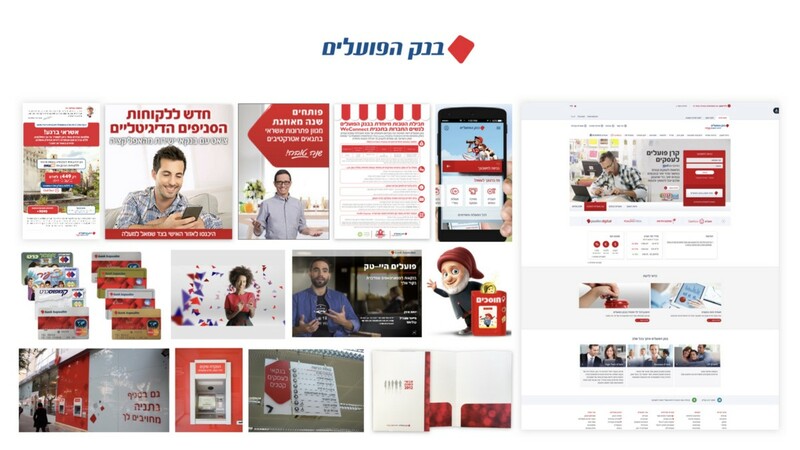 “With you in every decision,” became the new brand promise, and clearly defines the role of the bank- to empower its customers, businesses, employees, and communities with the ability to make financial choices with assurance in every stage of their lives. The rhombus shape-the brand’s iconic symbol- is at the heart of the new brand language and remains strongly associated with the bank’s reliable brand identity. We created a more simple and symmetrical version of the logo, and the dynamic use of the symbol was integrated into the graphical language — expressing the bank’s accessibility at each stage of the customer’s life. The dynamic identity reflects the changing decisions that are affecting the lives of the customers every day as well as the ability to keep adjusting the bank’s offerings and services to the wide range of consumers. apps, print and advertising materials. Designed with the latest Open Type technology, the typeface contains several sets of gures (Proportional, Tabular, Old-Style, Fractions, Superiors, Inferiors and Arabic). In that way, proportional figures are appropriate when numerals are set in text, and Tabular Figures are preferable when set in columns. It also contains a wide range of currency symbols, as they are very common in monetary environments. The typeface was designed by Yanek Iontef and Daniel Grumer (Fontef Type Foundry), and was customized in Israel to contain Hebrew, Arabic and English, all designed at the same time. In order for the bank to act as a trustworthy partner to the customers, we had to meet them at major junctions of their lives. To see the world through their eyes and deliver our message in a simple and direct manor. 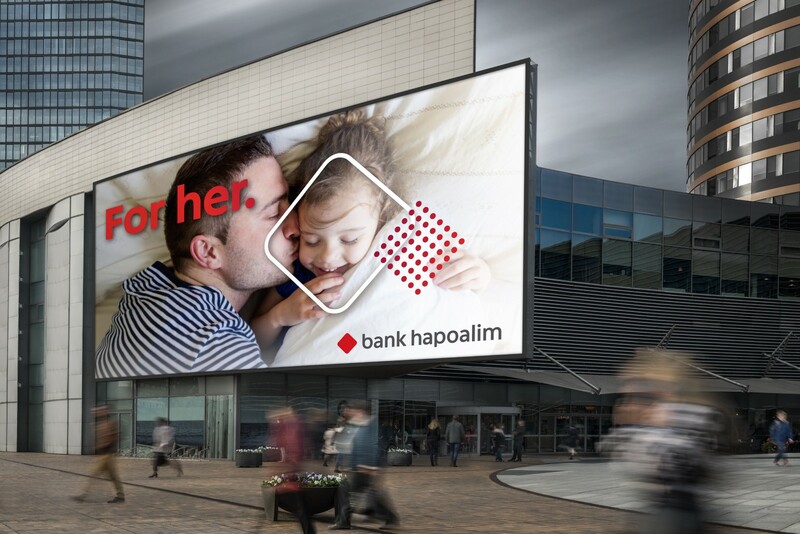 Now every customer touch-point has the new and improved look and feel- a warm reminder of Bank Hapaolim’s professional guidance in every transaction and financial decision. 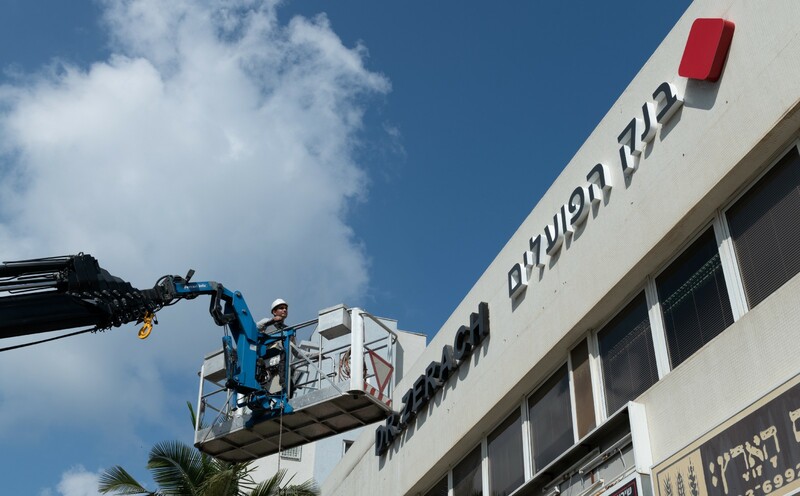 Established in 2000, OPEN is a Tel Aviv based full-service branding agency, building inspiring brands for market-leading companies.